Motion detecting sensors are the backbone of any home automation or security system. These small, simple devices are among the most versatile elements of any internal network, whether they turn on lights, activate alarms or trigger auto-turrets (just kidding about that last one! ), these motion detectors are the workhorse of the system. In spite of their small size and relative simplicity in function, various brands boast different features and when you’re looking at devices which form such a crucial element of your home automation network it’s important to pick the right device. In general terms, a motion sensor should do two things: interface with your security hub and detect motion. There’s not a whole lot to the functionality of these devices, however there are still a number of factors that can influence which particular product will be best for you. The most common uses of motion sensors are triggering lights in the case of home automation, or alarms in the case of security. That said, they can be used for countless other functions with your creativity or needs being the only limit. If you want it to trigger a motorized canopy for your terrace, a ceiling fan, or even automatic doors if you feel the need to sneak some sci-fi into your house, these devices are the way to go. The basis of how motion detectors function varies, with several methods existing. These include passive infrared, microwave, dual technology, area reflective, ultrasonic and vibration-based sensors. There is no go-to hierarchy among these, but generally speaking, vibration-based sensors are the least reliable, microwave sensors are most susceptible to interference and dual tech sensors are the safest bet. The main stats that come into question when picking your motion detecting sensor are reset time, battery life, sensitivity and compatibility. Reset time refers to how much time passes after detection and activation for the device to turn whatever it activated back off. A device with a 2 minute reset time, for example, will turn off a light triggered by the sensor after 2 minutes of not detecting any movement. The benefits of a long battery life are obvious: you need to spend less on batteries (provided you don’t use rechargeable) and bother with changing the batteries at less frequent intervals. It also means there is a lower chance of the device giving out right during a crucial moment, which is of upmost importantance in the case of security implementation. Sensitivity is a factor in case there are moving bodies in the house during times when the system is active, but you ideally don’t want these bodies triggering the system – think pets, Roombas or friendly household spirits. You wouldn’t want your local leprechaun to trigger a house-wide alarm system. Many motion detectors are marketed as pet-safe, meaning that our furry friends won’t keep turning on lights each time they stroll by. Compatibility may be the most crucial factor of them all. The home automation and security industry is massive, with countless brands all competing for market dominance. If a motion sensor – and this is true for any device in the infrastructure of home automation – is brand-locked, the options of the customer become severely limited. What if one manufacturer aces motion sensors, but their hubs or security cameras are sub-par? Settling for that kind of setup can put your safety in jeopardy. Before you buy your motion detectors, you’ll need to know whether they’re compatible with the hub you’re using or the one you’re planning to use in your system. It helps to have a well-planned out home system in mind when buying all the elements, so you know how many of each device you need, and you can buy the sensors accordingly. In this guide we’ve taken a look at 6 of the most commonly used and popular motion detectors to see how they stack up against one another, and which device is best for what role and what buyer. The Aeotec Multisensor 6 takes a jack-of-all-trades approach to home automation, both in terms of functionality and in terms of compatibility, making it a great choice for anyone looking to set up a more sophisticated system. And it’s managed to pull it off without charging too much of a premium. While a few of the reviewed devices already come with receivers, the Multisensor 6 instead aims to slot into an existing network the user has set up at home. It is compatible with most popular hub brands, allowing it to blanket a whole lot of users across the globe. The Multisensor 6 is a fantastic counter to armchair philosophy by proving that more is more and cramming a ton of features and functionality into a tiny device which, unlike most products in this industry, actually looks quite good to boot. The biggest draw the Multisensor 6 has to offer is right there in its name. This tiny device packs six different types of detection as opposed to the vast majority of competitors which only have one. The Multisensor 6 can detect motion, humidity, heat, light, vibrations and even UV levels. While it has obvious security applications – hybrid detection is always considered the best approach due to the lower chance of false alarms coupled with greater reliability – but the user who wants to integrate this into a more complex home automation system will be the one taking full advantage of the functionality. Linking the Multisensor 6 to motorized rafters, fans, lamps and more will allow you to truly make use of all the different types of sensors built into this tiny device. The Multisensor 6 packs more than just one zinger with its multifunctionality. This little sensor will fit right in with just about every home automation hub out on the market, with Wink being the only notable exception. Supported hubs include SmartThings, Fibaro, Indigo 7, openHAB and Vera. One neat little tidbit that is missing from many other sensors on the market is tamper proofing. If you open the battery cover, the alarm will go off provided the system is armed, letting you know if someone is trying to disable your security net. The small size of the device allows for it to be installed in a wide variety of locations, and even helping with concealment. With the easy installation equipment supplied, you can set up the Multisensor 6 without any tools. While the sensor can work off battery power for 2 years, it also comes with a comfortably long USB cable if you’d rather go wired. This is notable since most similar products only supply a power cord for the receiver device, not the sensor itself. The Multisensor 6 boasts the most functionality of all devices we’ve reviewed, and is far from the most expensive one to boot. This thing is a boon to anyone trying to put together a complex home automation network, but even for mere security functions the multiple sensor types allow for the best performance. There isn’t much reason to pick any of the other devices unless you specifically need something for outdoors use. The Multisensor 6 is something we can wholeheartedly recommend for anyone looking into serious home automation systems, allowing for a wide variety of functions without a massive price hike. That said, those users who are not interested in setting up complex systems, there do exist cheaper options with lesser functionality. 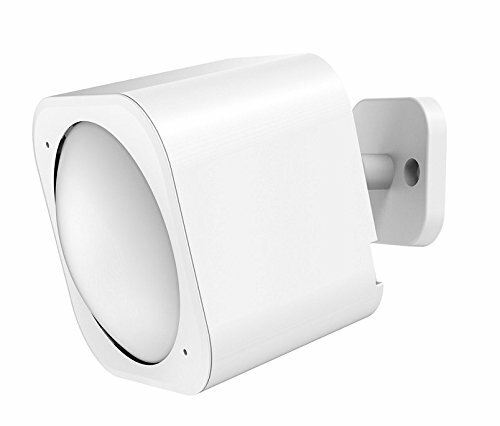 6-in-1 Z-Wave Plus MultiSensor: motion, humidity, temperature, light lux, UV, vibration sensor. Super-small at 1.8 inches. Can be installed in corner, in-wall, on shelf or in downlight. Works with certified Z-Wave gateways and tested with Fibaro, Indigo 7, openHAB, SmartThings, Vera. 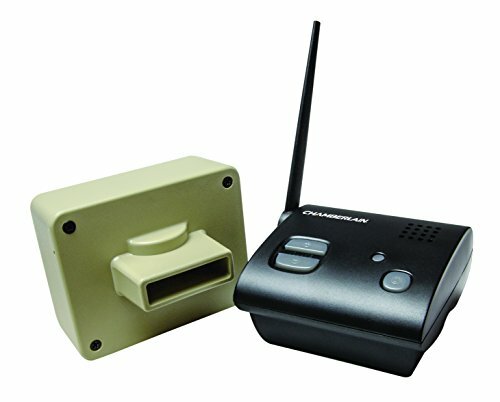 In many ways, the Guardline motion sensor is the big-brother of the Chamberlain CWA2000 we took a look at earlier. This too is geared for functioning in the outdoors under all sorts of weather conditions, and matches almost all of the other model’s features, however with greater stats. 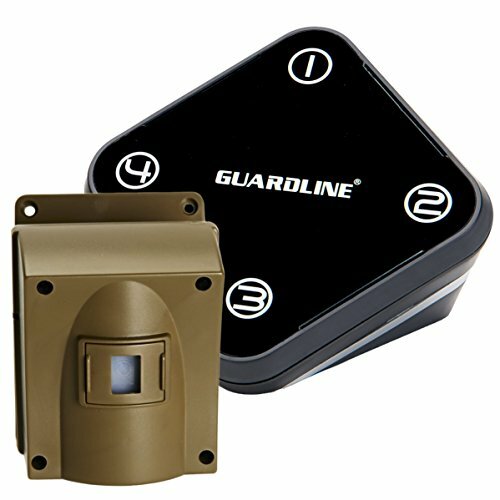 The Guardline motion sensor comes in two variants, one where the sensor has a receiver range of 500ft, while the other, more expensive model has a range of 1/4 of a mile (1320ft). Beyond this, and a variance in price, the two devices are entirely identical. The base kit comes with one sensor and one receiver, however a network of 16 sensors can be set up for any one receiver, and multiple receivers can be paired with the same sensors, so technically the whole system can be expanded ad infinitum. The main selling point of the Guardline sensors is their durability and reliability. These devices will work the same way in windless, sunny days as they would during a hard winter storm. Both variants have decent range, which is essential if you’re hooking up a larger outdoor area, but the ¼ mile variant shines best in this regard. The sensors themselves of both variants have a range of 40ft. This device isn’t designed with those users in mind who want to set up an indoors system, though the sensors would work perfectly under those conditions too. However, there are more affordable devices for that purpose – simply put, it would be overkill. These sensors can be set up on trees, posts, or on the walls of your house and they’ll detect anyone encroaching on your territory. The sensor was made with all kinds of weather in mind so it doesn’t give out at crucial moments, meaning it’s waterproof, comes with a sunshade and the outer shell is sturdy to survive blunt trauma from flying debris. The Guardline sensors are easy to install, and will be up and running in no time. Mounting it on posts or thinner trees will require no tools, but hanging it up on a wall will require a bit of drilling. Once up, the programming won’t take long at all either. The sensors themselves are entirely wireless and work off batteries, whereas the receiver is a hybrid device allow for both battery and power-cord functions. This means you can take it with you if you’re out on your property without having to worry about not hearing a triggered alarm, but when you’re at home, it won’t be consuming battery power. The receiver has a 12v output terminal, allowing it to be hooked up with other devices for extended functionality. That said, this thing isn’t exactly cross-compatible with other home automation hubs, so the Guardline sensors can’t be integrated into another system. Chimes signalling a triggered sensor can be customized with a selection of 30 different tunes, and the sensitivity of the sensors can be adjusted in case you live in an area with a lot of wildlife and don’t want every stray squirrel to sound to claxons. 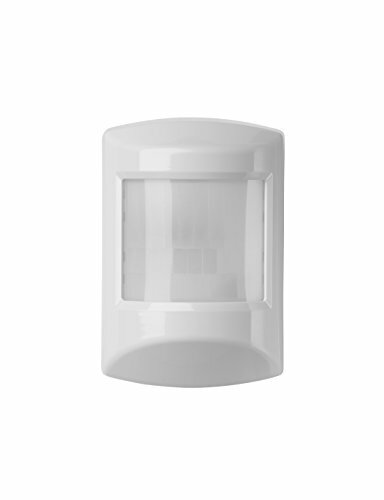 The Guardline motion sensors are a higher-end option for people wanting to secure the parts of their property outside of the house itself, offering a great selection of features as well as reliability. This device is aimed at those who are willing to drop a bit more cash for a more secure system protecting the premises. The Z-Wave Plus motion detector has risen to be one of the most commonly used devices of its kind throughout the USA, and is a best-seller on Amazon. The main selling point of the Z-Wave Plus is compatibility. Compatibility with Z-Wave hubs is a given, however this device will network with a high number of hubs from other manufacturers. Customers have reported that the device will pair with Wink, Vera and SmartThings hubs, among others. When it comes to complex systems like home security, which are composed of many different elements, cross-compatibility becomes a premier selling point because it allows for customization and optimization. By not forcing the customer to stick to a certain brand, they can then mix and match models to their liking. Some manufacturers have great specific devices, while they are lacking in other fields, so even if you settle for the Z-Wave Plus, maybe you’ll be looking at other brands for window alarms, security cameras and other systems. Another benefit of wide compatibility can be cost and availability – maybe not all elements of your desired system are available from the same manufacturer, forcing you to go hybrid. The Z-Wave Plus will allow you to select the other elements of your system with absolute freedom instead of limiting you to the brand. Right up next to compatibility is the pet-proof nature of the Z-Wave Plus. Many motion detecting sensors are tipped off by dogs or particularly well fed cats, leading to false alarms and a night of inconvenience for the user. Animals up to 55 lbs will be free to prance about in full view of the Z-Wave Plus without triggering condition red. The Easy Install branding of the Z-Wave Plus refers to the no-tools placement and included flush and corner mount brackets, allowing you to install the device in moments and connect it to your system. In addition, the sensor boasts five years of battery life, so once the device is in place you won’t be needing to fiddle with it again for a long time. The Z-Wave Plus is great value for what you get. Getting it up and running is easy, it will interface with pretty much every system architecture out on the market, and it won’t be turning on lights or alarms for your pets either. The reset time is the only major drawback here, but there are few better options for home automation in this price range. The CWA2000 model comes paired with an passive infrared sensor. The receiver unit can be paired with additional sensors sold separately to expand your network, which you’ll likely be doing anyway. The primary role of the CWA2000 is to work outdoors in any weather condition, with the manufacturer recommending use as a driveway detector to assist parking vehicles. That said, customers highlight the device’s use as a proper security system as well, so don’t mistake the CWA2000 to be a lower-grade device not to be trusted with your valuables and wellbeing. The sensors can be placed half a mile from the receiver, and the sensors themselves have a detection range of 30 ft. While the device is marketed to function under all weather conditions, this is only partially true. Due to the use of passive infrared, the sensor detects fluctuations in heat, meaning anyone who saw the Predator movie will know how to fool it. The supplied manual states that the sensor should be placed 4 feet above ground level and aimed at where the car’s hood should be – however, since that area doesn’t give off too much heat, especially if weather conditions like rain are constantly cooling the outer surface, this isn’t reliable. If you do want to use this for vehicles, place it where the exhaust pipe will be, as the exiting gasses are much hotter than the air around them. In terms of home security, the sensor will easily detect any unwanted persons breaching the perimeter, and this is true for all weather conditions, be there torrential rain or snowfall, thanks to body heat. Don’t mistake the supplied receiver as brand locking, it’s merely another hoop to jump through. The receiver can be paired with a high number of hubs of other brands, allowing you to integrate the sensors into a system comprised of various components from various manufacturers. When multiple sensors are paired with the same receiver, the sound and light signals that activate when triggered will be unique to each sensor, allow you to immediately identify which one was tripped. The CWA2000 falls into the category of motion sensors which are easy to install with no wiring or drilling required to attach sensors, while the receiver remains mobile. The sensors work with AA batteries, whereas the receiver is hybrid, allowing for the use of both batteries or an AC adapter. The CWA2000 is a good choice if you’re looking for outdoors sensors, however due to the high sensitivity it isn’t suitable for use in-home. It will be a great choice for security purposes as people will trigger the infrared motion sensors in all weather conditions, and the range of the devices are great. However, the devices have an issue with oversensitivity, and the sensors can be unreliable when it comes to detecting objects. The Skylink HA-300 falls into the low-budget price category of motion sensors, and this is obvious from its list of features too. That said, for this kind of price you shouldn’t expect much more, and then the value you’re getting is still pretty good. 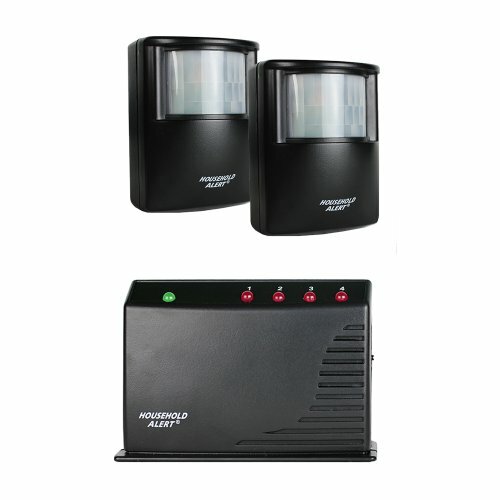 The China based manufacturer supplies a wide range of security systems aimed at the budget consumer. The HA-300 system comes in two variants, the regular and the deluxe. The only difference between the two is that the regular kit has a base receiver and one sensor, while the deluxe has the same receiver and two sensors. The system can be expanded with up to 16 sensors spread across 4 zones paired to a single receiver. The HA-300 has a pretty basic and regular feature-set, so the main characteristic in this product is mostly the price. It’s a cheap, entry-level device for people who don’t want to spend too much on a complex home automation or security system. This is the kind of thing you secure low-priority properties with as a cheap and quick solution. It fulfills this role perfectly. The lack of cross-compatibility is somewhat lessened by the wide product range offered by Skylink. You can add window, water, door and garage alarms to the same receiver, allowing you to mix what those maximum 16 sensors are. That said, you can’t integrate this into a different system. The devices work with AA batteries, and the sensors have a detection angle of about 120 degrees, though this is an anecdotal figure. After detection, the alarm (if set) goes off instantly and lasts 30 seconds before a buffer-period of 30 seconds begins. When that buffer period is over and further motion is detected, the alarm will trigger once more. The receiver can be set to three modes depending on what kind of feedback you want when the alarm is tripped. In mute mode, all it does is flash a red LED built into the base. In Alert mode, the flashing will be accompanied by a reserved beep, whereas alarm mode will set off a 95 dB siren designed to frighten off intruders. The device boasts a range of 800 ft. The list of features it lacks is a tad longer than the ones it possesses. The sensitivity cannot be adjusted, it isn’t pet-safe, can’t be integrated into another system with devices from other manufacturers, and it isn’t made to be installed all that easily. The HA-300 isn’t easy to recommend unless you’re looking for a low-cost and basic solution to some kind of security concern without any bells or whistles. This is a good choice for people who don’t plan in setting up a larger system and want a quick, out-of-the-box way to tick off yet another item from their lengthy to-do lists. 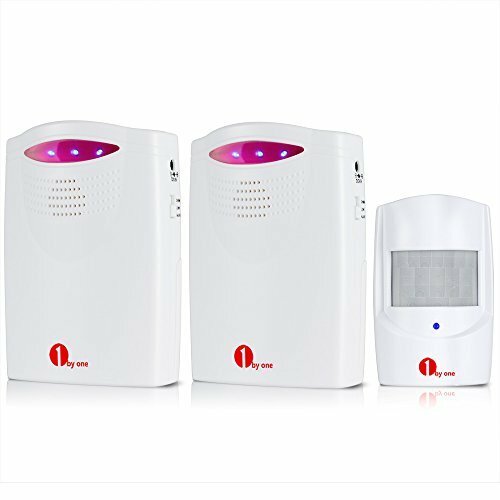 The 1byone security alarm is a pretty basic approach to home security, taking the route of supplying a sensor-receiver kit which cannot be integrated into another larger home automation network. The system is pretty basic in terms of functionality, and falls into the category of driveway/outdoors sensors. The kit supplies two passive infrared sensors and one receiver unit. This product is about as basic as you can get in terms of functionality, it just does what it’s supposed to do. It’s a motion detector, and it detects motion. There’s only so many ways that one function can be described with the English vocabulary. The 1byone system allows for up to 50 sensors to be paired with a single receiver. While this is a marked increase over the typical 16 we’ve seen before, that advantage is immediately lost when you realize there are no zone divisions, meaning if any one of those 50 sensors goes off, you’ll have no idea where to start looking. Additionally, the range of this device is the shortest of all those we reviewed. The sensors may only be placed 328ft away from the receiver, and the sensors themselves have a detection range of about 16-26ft, a figure not even the manufacturer could nail down. Considering the short range, the upper limit of 50 sensors is made even less logical, since there is no way you’d need that many to cover such a small area. While advertised as weatherproof and suitable for outdoor use, the device must be shielded from sunlight, wind and rainfall, making it the least outdoor-friendly outdoors sensor we’ve come across, mostly nullifying its ability to function as a driveway sensor. If there’s one thing the 1byone nails, it’s scaring would-be intruders away and possibly rendering them deaf at the same time with a 100 dB alarm sound. The sensors and receiver are battery powered, but one can buy a separate AC adapted for the receiver if they don’t want it draining the batteries when not on the go. The 1byone system is pretty barebones and not the most reliable motion detector system out there, but it gets the job done, and for that price, what more could you wish for? Different Ringtones - The receiver is a doorbell design with 36 different ringtones for personal preferences. User-Friendly - There are 3 mode choices (Sound/LED Flash/Sound and LED Flash) and 3 levels volume adjustment (High/ Middle/Low ) from 25-80dB. As you’ll have deduced from this article, there is a large divide between those motion sensors designed for indoor versus outdoor functionality, however a prevalent theme among them all is that cross-compatibility is a desirable trait – and missing from all weatherproof devices. Securing the area around your house is as important as securing the house itself, and home automation networks would greatly benefit from cross-compatible weatherproof motion sensors, however this niche is yet to be filled. Our preferred choice of sensor, the Multisensor 6, is the picture perfect candidate you need to look for in such a device: cross-compatibility, a variety of functions and applications, all the while keeping to a good value/price ratio.